The introduction of BrewerBUILD™ Material Series offers an industry wide multifunctional solution addressing the challenges associated with redistribution layer (RDL)-first/Chip-last packaging in wafer- or panel-level processes. BrewerBUILD™ Material Series solutions offer improvements for the RDL-first build-up process increasing both throughput and device yield, contributing to an overall lower cost of ownership. BrewerBUILD™ Material Series' mechanical and thermal properties, including in-process thermal stability, are designed to withstand the creation of multiple RDL layer structures. Once the device is created and the known-good-dies (KGDs) are attached and overmolded, the build-up layer is debonded utilizing an excimer or solid-state laser at various wavelengths including 308 nm, 355 nm, and beyond.  To avoid known-good die loss during packaging, an alternate fan-out process called RDL-first/chip-last fan-out packaging is used, where the RDL is first built on a carrier wafer, and KGD are placed on top of a known good RDL location thereby avoiding KGD loss. The RDL-first process also offers other advantages in terms of finer line/space dimensions for RDL to offer complex routing for denser device integration and a higher I/O count.